My images are mostly dominated by what moves me from the pristine Hawaiian landscape to the South Pacific atolls. With oil paint on canvas, I capture the different moods of the sea from crystal clear days when sunlight dances in the light blue shallow waters to the crashing surf that energizes the atmosphere with mist and stretches the colors of the setting sun. Welcome to my blog for www.McCartneyFineArt.com and www.MauiVision.com Here you will find articles about Hawaii and art related topics. The writings are my personal observations and stories, art educational advice, travel tips, movie and book reviews that have inspired me and that I hope will inspire you, too. At Pictures Plus, value and simplicity are prevalent in everything we do. To us, custom framing is simple: tell us what your needs are and we`ll make it happen. We specialize in reasonably priced, quality custom framing and beautifully framed artwork. Featuring over 30 different artists, you will find art painted by Hawaii`s favorite artists, highlighting Hawaii`s favorite subjects. In all, we offer over 500 different images throughout our stores and 400 on our website. And, by keeping a close eye on the competition, we are approximately 40% less on custom framing compared to average mainland prices. Michele moved from Northwest Oregon to Maui in 1990 with her husband, Bob and their cat, Puss. She never looked back. 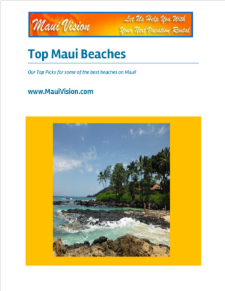 Embracing the incredible beauty of the land and seascapes of Maui, and feeling the warm sand under her feet, she wanted to share her Aloha and gratitude for the local scenery, people, fragrances and tastes. 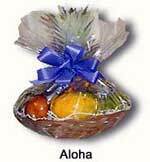 Offering a line of distinctive gift baskets filled a void in Maui and its success has been hugely satisfying ever since. To view or purchase her unique baskets and floral designs, or to ask her to help you design something for a special occasion or loved-ones, please visit her website for contact information. Click on one of the images and you will be taken there. Joe is a Bay Area guitarist and teacher, working out of House of Woodwinds in San Ramon. He has been a full time guitar instructor since 1986, playing and teaching jazz, rock and blues, country and a little classical/flamenco. Joe is also available for gigs from solo up to a quintet with vocals. Performance videos can be seen at http://www.youtube.com/user/sidethehead. Visitors to the Bishop Museum are permitted to photograph and videotape our exhibits. Flash photography is permitted. Photography and videotaping for commercial use should be coordinated through Michelle Greeno (808.848.4171). Some of our older buildings on campus date back to the 1880s, long before A.D.A. requirements were even a consideration. Because of this, access to some portions of our buildings is unfortunately unavailable to people with certain disabilities. Hawaiian Hall, the jewel of our campus, has a grand staircase to access the second and third floors of that hall. Leis were constructed of flowers, leaves, shells, seeds, nuts, feathers, and even bone and teeth of various animals. These garlands were worn by ancient Hawaiians to beautify themselves and distinguish themselves from others. The Maile lei was perhaps the most significant. Among other sacred uses, it was used to signify a peace agreement between opposing chiefs. In a heiau (temple), the chiefs would symbolically intertwine the green Maile vine, and its completion officially established peace between the two groups. In 1836 Kauai was the first island in Hawaii to produce coffee commercially. Now coffee lovers can again experience the taste of of how coffee was produced in Hawaii before the turn of the 20th century. Our organically grown coffee is hand picked, fermented, sun-dried and fresh roasted daily. . As with all of our 100% Hawaiian grown coffees, macadamia nuts, honey, chocolates, jams, jellies and gifts, Blair Estate Coffee is available by mail, and phone order only. Blair Estate Coffee farm is not open to the public for retail sales. lair Estate is also the home of Coffee Times 100% Kona coffee! Not available in stores we have been shipping our fresh roasted to order only, State certified Kona beans to all parts of the world since 1994. Simply put… our beans never have the chance to grow old. So if you are seeking the freshest coffee in the world you will discover a source no better than that found at Blair Estate coffee farm. There is a wealth of art, history and cultural experiences available through the many museums, visual art centers and performing art groups throughout the County. Many of the following also make available large rooms, auditoriums, stages, dance floors and performance halls for public use including: Malu Ulu Olele Cultural Center, Maui Community Theater, and the Maui Arts & Cultural Center. The MACC logo is a petroglyphic image of a human being releasing a bird into flight … an act symbolizing the freedom of expression that lies at the heart of all creative endeavors. The Maui Arts & Cultural Center is a presenter – the dynamic connection between artist and community. ” The MACC Presents …” means MACC chooses artists: from among the best of Hawaiian and local artists to those who represent art forms and cultures that bring rest of the world to Maui’s people. Each year, we program 35-45 events, the best of a diverse range of artists and aesthetics to ensure that our Maui audiences—and Maui’s children—share in the many facets of how our people, as well as the world’s people, tell their stories through the arts. Continuing a long standing tradition, MAUI HANDS currently represents over 300 fine artists, artisans, jewelers, woodworkers, glassblowers, potters, and sculptors, all 100% local to the state of Hawaii. Now with 4 locations, MAUI HANDS hosts a spectacular showcase of fine art and home furnishings including garden art, carpets, lamps, local hardwood furniture, kitchen and bath accessories in glass, basketry, and pottery and distinctive Hawaiian gifts. Looking for a home in Alamo? The exclusive town of Alamo, California is wonderfully close to just about everything in the San Francisco Bay Area. Home Buying is generally much more complicated than one would think. Michael Hatfield has the expertise and knowledge to assist you through this process and negotiate with the homeowners/sellers. Michael’s keen people skills, attention to detail strong knowledge of the real estate industry, and determination to indulge his clients with first class service, have set him apart from other professionals. We were attracted to the quiet and beautiful surroundings, and close proximity to work and shopping in Nanaimo. We were especially interested in the small friendly community and considered Gabriola a good place to raise our children, Carly and Robyn. As a real estate family we look forward to helping our clients to find their place on Gabriola. We know this island well and are eager to share our expertise and appreciation for all that Gabriola has to offer. Contact us anytime, we would love to welcome you to Gabriola! KAUAI WAS JUST VOTED BEST HAWAIIAN ISLAND FOR THE 2ND YEAR IN A ROW AND 2ND BEST ISLAND IN THE WORLD (1ST BEING THE GALAPAGOS ISLANDS) ACCORDING TO TRAVEL + LEISURE MAGAZINE! Krellers Getaway has received the following awards and recognition for 2011! Read our past guest comments to the left and see what others are saying about us!! We offer luxurious and unique accommodations in our private cottages and our communal Opua House/Main House. All are surrounded by dense greenery, ocean views, ancient imported artwork, and loving intention. Please visit our accommodations page for more information. Kahua O’Malio is known for it’s inspiring atmosphere and is available for small group retreats, honeymoon getaways, and relaxing vacations. Mahalo, and please enjoy our Sacred Surroundings photo gallery and videos. NAPUA WEDDINGS MAUI is a full-service Maui wedding planning company that is serious about intimate weddings and high quality photography. Our professional services include: Wedding and Reception Planning/Coordination, Hawai’i Marriage license arrangement, Wedding Photography, Wedding Videography, Florals, Wedding Hair/Make-up, Wedding Ministers, Music & Entertainment and more. NAPUA Weddings also offers Japanese-speaking wedding planner, Japanese-speaking minister, Japanese-speaking hair/make-up artist, and interpreters for international weddings and parties on Island of Maui, Hawaii. We invite you to learn more about Napua weddings and hope to assist with your upcoming wedding. As a part of the nation’s premier mentoring organization, Big Brothers Big Sisters of Maui is committed to promoting the educational success and the avoidance of risky behaviors among the children and youth of Maui County by providing high quality, evidence-based, 1-to-1 mentoring programs. Our agency envisions increased partnerships with parents and guardians, volunteers, local businesses and government, and other community groups and organizations in order to build greater confidence, higher aspirations, and stronger relationships for the children and youth served by our mentoring programs. We are committed to keeping child safety and development top priorities and we are dedicated to recognizing and supporting volunteers as the unique and valuable service providers that they are. Maui Musician, Clay Mortensen has been at the forefront of the Maui music and entertainment scene for over 20 years. This born and raised native Hawaiian musician started his entertaining career in the showrooms of Waikiki with the legendary “Don Ho show” as a featured vocalist. 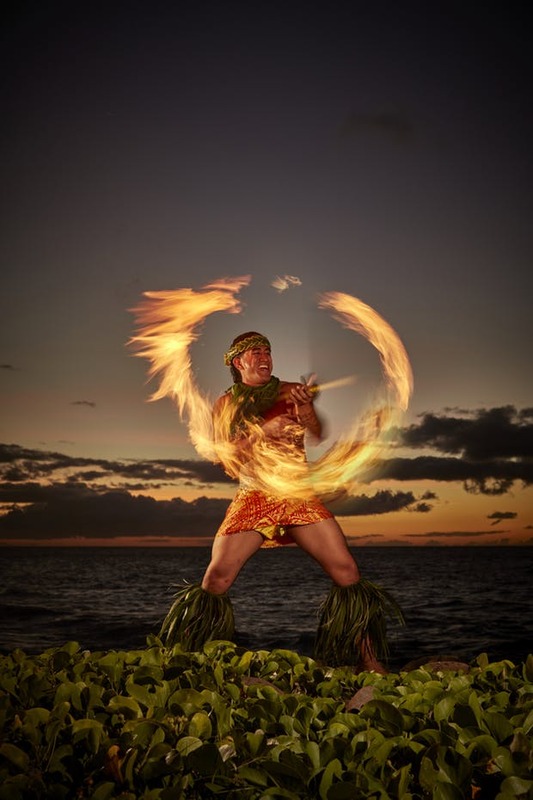 Since those early days of show business, Mortensen has continued to entertain and delight crowds here on Maui as well as the outer Hawaiian islands and internationally. His musical travels have taken him to Japan, Western Samoa, South America, as well as many states on the U.S. mainland. Clay has performed for many charities and events here on the islands and has given his time entertaining the sick, elderly and physically disabled for fundraiser charity events. Come and join us as we celebrate our 35th year of diving in Maui! 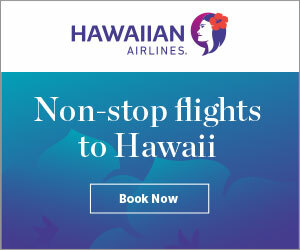 You’ll experience Hawaiian diving at its best at pristine Molokini Crater, dramatic Lanai, the awe inspiring Scalloped Hammerhead Sharks, the sunken schooner Carthaginian, weekly twilight/night dives and Turtle Reef aboard our boats the 46′ Dominion and 46′ Dauntless. We dive more of Maui County more often than any other dive operator on the island! Nitrox is available for Nitrox certified divers upon request. Located in the heart of the historical village of Lahaina Towne, just 4 miles from the Kaanapali Resort area, Lahaina Divers is the ONLY dive charter operation operating out of Lahaina Harbor. Dive Hawaii with the best professional staff on Maui. Richard Marks Images offers exquisite professional Maui wedding photography in Maui Hawaii. Richard Marks is anything but your average Maui wedding photographer. Each wedding is photographed focusing on aloha and the highest levels of artistry rarely found with other Maui wedding photography studios. Richard guarantees that your wedding day will be carefully crafted to offer one of a kind unique photography on the beautiful Island of Maui Hawaii. He offers Maui wedding photography at its best and his business policy is to offer win/win scenarios in the Spirit of Aloha. Call 808-298-4297. Not looking for a Maui wedding photographer? Please be sure to consider Richard for you engagement photography, family or promotional photography needs in Maui Hawaii area. Because Handi Guides does not book activities, we have no reason to push a particular activity. Handi Guides offers every company on the island an opportunity to list their activity with Handi Guides free of charge resulting in giving visitors a complete unbiased source of information.